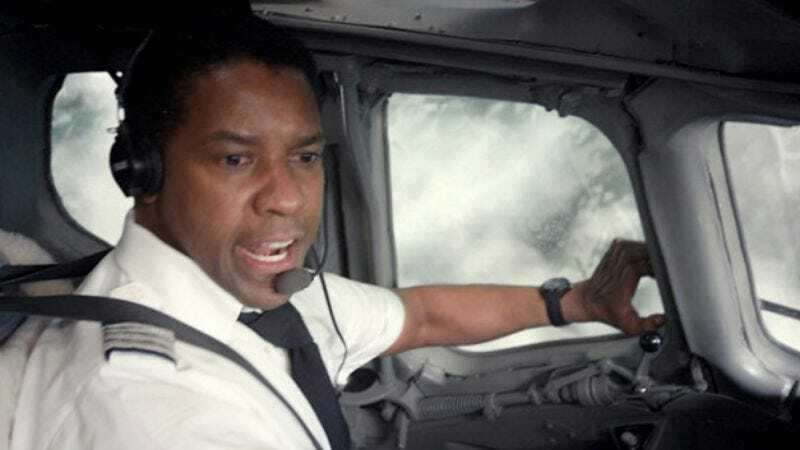 In a move that is totally un-Bud-like, Budweiser manufacturers Anheuser-Busch have asked Paramount to obscure all of its logos in current and future copies of Flight, a film in which Denzel Washington is shown repeatedly enjoying the cold, refreshing taste of Budweiser to fuel his alcoholism. That Budweiser also gives Washington's airline pilot the cool, steady hand needed to pull off incredible emergency landings doesn't seem to matter to Anheuser-Busch—nor to the manufacturers of Stolichnaya vodka, who have similarly expressed concerns about their product's cameos—and neither company views this as the obvious opportunity for marketing synergy that it is. Ads urging drinkers to unwind with a Bud and crash-land like a champ, in other words, are not forthcoming. Instead, each company has issued a sobering statement about not wanting their product to be associated with drinking to excess, but rather the slow, savoring enjoyment of rich flavors and life's finer things that is more commonly associated with Budweiser and Stoli vodka. However, most experts agree that there is little recourse for either company, as trademark law doesn't prevent films from using real-world products, or implying that they really take the edge off piloting huge jets in life-or-death situations. Though Budweiser, as King of Beers, may of course issue a royal decree.